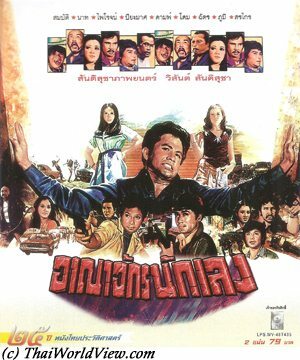 This Piyamas Monayakol movie page contains 32 records. 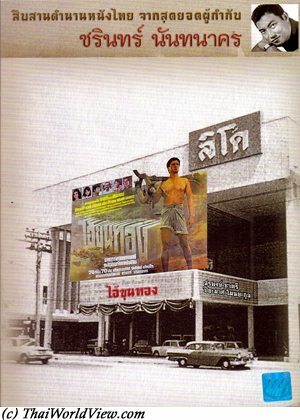 The full title is มาดามยี่หุบ ภาค 2 จากอังกฤษถึงประเทศไทย. Poo is Madam Yeehoob's daughter. They have been 18 years away from Thailand. They have arguments with Pittaya, young man, at the airport. 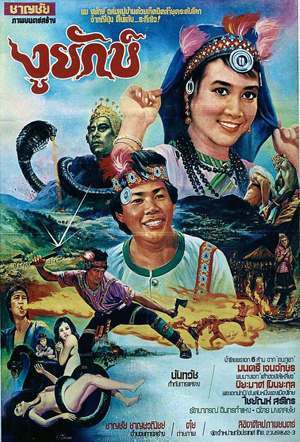 In Yeehoob's Thai house, the maid is played by actress Nattanee Sitthisaman, who became famous thanks to บ้านผีปอบ movie serie. All visitors are afraid of her :) Pittaya is a young rich man. Somsri, a tour guid, is trying to seduce him but he only has interest in Poo. Meanwhile a photographer, called Teh, is looking for a new model. Somsri asks Teh to take compromising picture of Poo in Wat Po. Finally love quarreling happens as both Pittaya and Teh are fond of Poo. Madam Yeehoob buys a new car to visit her family in the countryside. When playing golf, Pittaya meets a countryside girl called Pla. He mistakes her as Poo as they have same face. Pla and Poo are twins (แฝด). The grandfather took care of Pla while Poo and Madam Yeehoo were in England. Madam Yeehoo wishes to send Pla to Bangkok to teach her modern life. 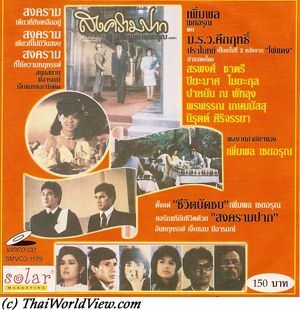 Pla discovers hi-so life when she is invited for diner by Pittaya's father and she commits many funny breaches of etiquette. Meanwhile Poo shall learn countryside life and house chores. 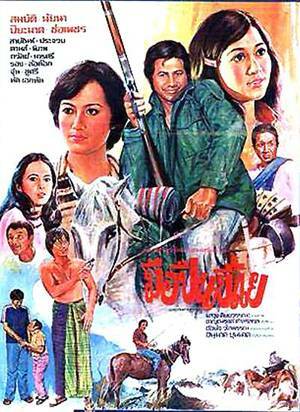 Many humorous scenes happen until Pittaya and Teh understood that there are two ladies so no need to be rivals. 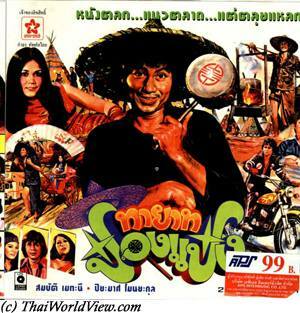 It is Kumtorn Tubkunlai's second movie based on twins. 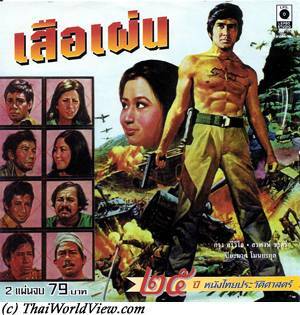 As usual his wife, Piyamas Monayakol, was playing in this movie. Two twins are set apart when they were babies. As they are becoming adults, they have the feeling they miss another part of themselves. This movie is based on twins confusion gags and gather an impressive collection of twins. 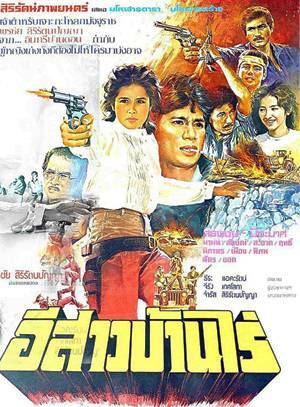 Angels with Golden Guns / Virgin Apocalypse is a IFD movie released in year 1981 and based on a Thai movie named อีสาวทรหด released in year 1982. The DVD lasts 1h22mn. 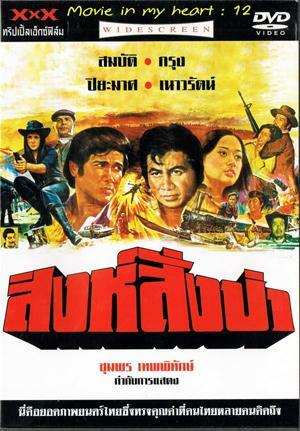 It is HK Thai co production. 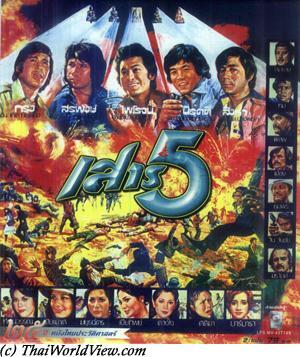 Two versions were released, i.e. one for Thailand with actor Kraison Saenganan and one for Hong Kong with a Chinese actor. The HK version was released in Thailand under the name สวยประหาร ผ่าดงปืน. 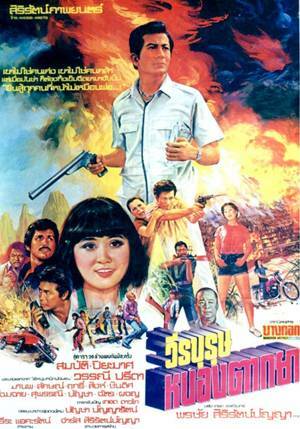 It seems that the original Thai version was never released on VHS, VCD or DVD in Thailand. A group of women tries to flee but they are caught back, tortured and some left as dead. They are forced to prostitution to bring money to the local mafia. Two fake film producers are looking for models in nightclub then a group of girls is kidnapped during a shooting session. A policeman tries to get the truth from the fake movie producer but gets captured. 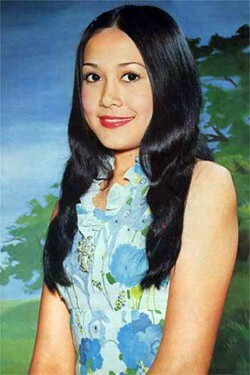 Among the girls, there are Piyamas Monayakol and Penpak Sirikul. Fighting happens at night time between two groups of girls. They are punished. But finally they try to escape again but get captured back through some shooting sequences over the river Kwai bridge. The rebellion leaders get caught and threatened. Two groups of ladies keep fighting. Used and abused, they must unite to fight. 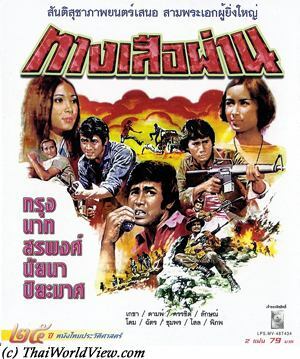 Rebellion happens and many dead happen on both sides as Piyamas and Penpak succeed to get M16 rifles. Their goal is now to catch the big boss. They kill his sbires one by one to reach him. The three ladies work with the cop to catch him. An old 700 years old Chinese mummy is displayed in a Thai museum. Despite the numerous police guards, a robbery happens and the original mummy is replaced by a copy. A thief is injured during a shooting with police. The head of police goes to pick up his daughter Chim coming back from England at the airport and realises that her daughter's boyfriend, called Sak, has same face as the thief. Meanwhile the thief, called Kimtheun, dies at the hospital. The head of police wants Sak to replace the dead thief at the hospital so that his thievish colleagues come to free him and so the police will be able to locate the mommy. Sak cannot refuse if he wishes to marry the head of police's daughter! A Chinese descendant and owner of antique shop is the one to order the robbery. A thievish colleague comes to the hospital not to help Sak but no kill him in order that he cannot talk anymore. Sak flees and takes refuge in the colleague's car trunk. He arrives in Chinese Viharnra Sien shrine in Chonburi province. Sak has to act like Kimtheun and discovers that he has one older wife and two children. Sak doesn't speak Chinese very well. Hopefully he can argue that his head injuries cause him to lose memory. 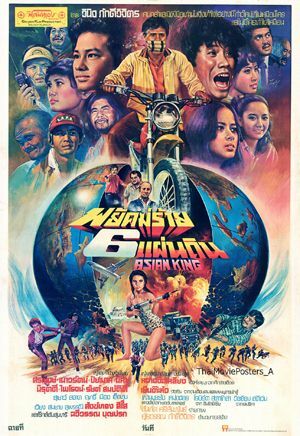 There is some light mockery of old Chinese customs in Thailand (boss with numerous concubines and much younger that the main wife, strong accent when speaking Thai, mixing of Chinese and Thai words Atia for father - Ama for mother, eat pork crazily). Next plan is to steal the Democracy Monument's two golden offering bowls in Bangkok. Arguments and comic situations happen when Chim finds Sak with the Chinese wife. Sak claims he is Kimtheun. Chim starts to be suspicious. Kimtheun's youngest brother knows well a Chim's friend so Sak is broken cover when Chim and her friends visit the Chinese shrine. Sak needs to tell the truth to Chim. Sak argues he didn't do anything with Kimtheun's wife as she cut off her husband's manhood before and gave it to ducks as Kimtheun was too unfaithful (Surgeons in Thailand have become experts at re-attaching things). 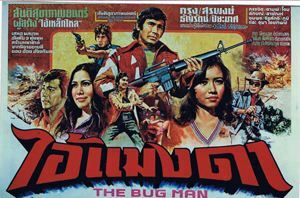 Sak and Chim follow up the antique shop owner up to Baan Beung in his secret cave where he hides the mummy. Being discovered, the boss hides himself inside the mummy armour. Sak and Chim need to replace the false mummy by the real mummy before Chinese authorities find the trick. It would cause the father to lose his job. During the mummy inspection, the mummy becomes alive as the antique owner doesn't want to go to China causing a big fear to everybody. Finally Sak and Chim happily marry. 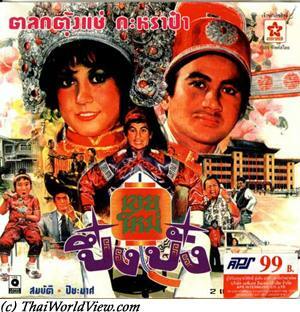 Director Kumtorn Tubkunlai has directed many comedies related to Chinese culture background. 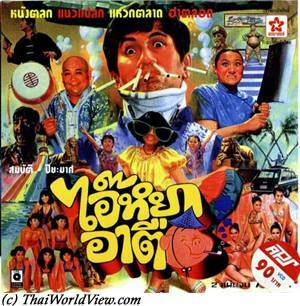 It is similar style and gags as the Pink Panther movie.